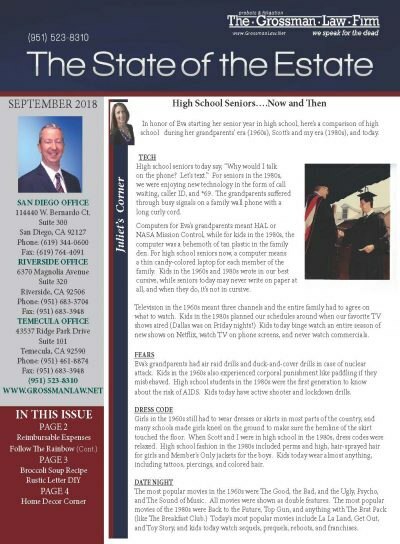 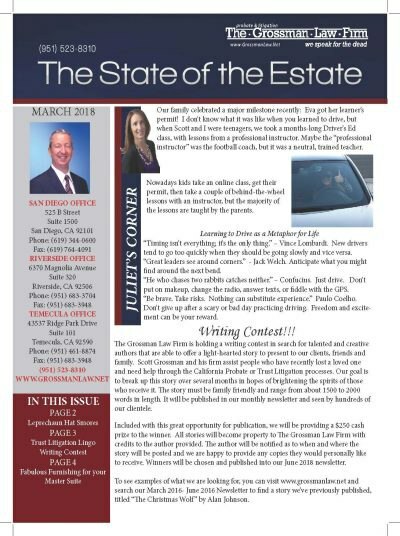 Sign up for The State of The Estate Newsletter by email or hard copy free of charge from a trusted and respected Probate and Trust Litigation Attorney! 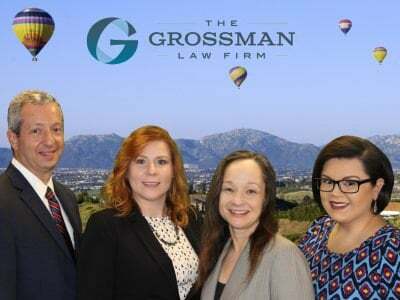 The Grossman Law Firm, APC serves all of California but has offices located in San Diego, Riverside, and Temecula California. 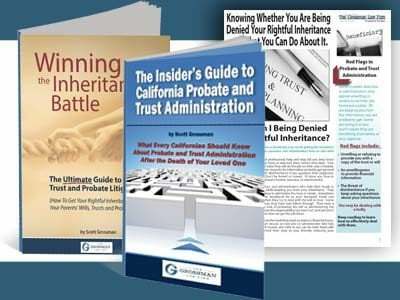 We offer this newsletter to anyone who would like to learn more about California Probate and Trust Litigation. 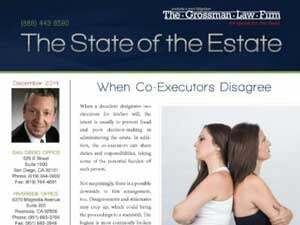 We also include lots of fun and interesting topics that we share so you can get to know our firm! 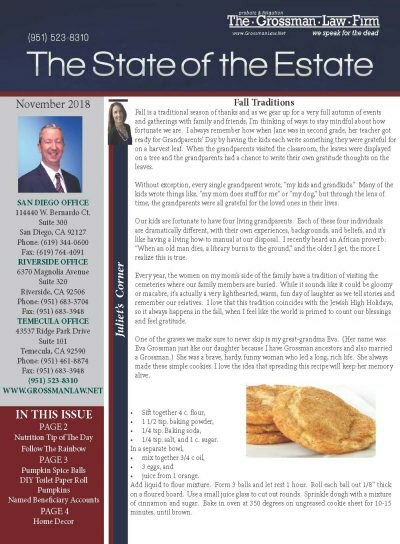 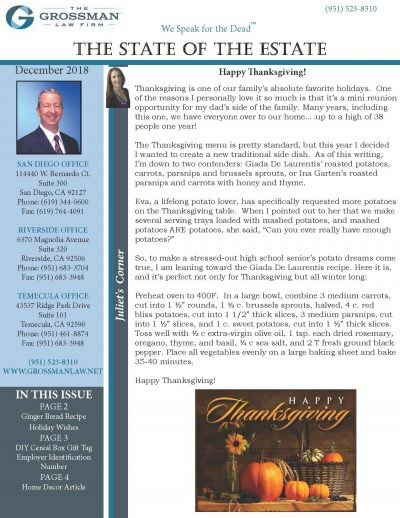 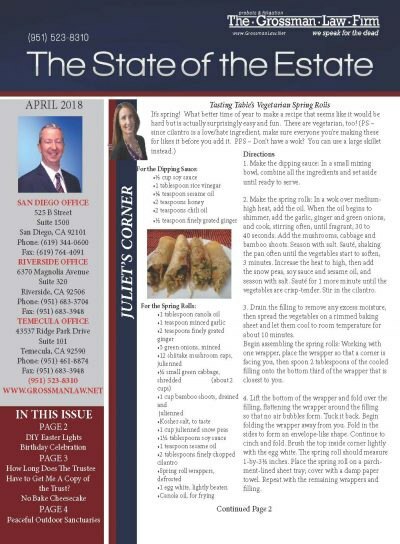 Stay up-to-date with The Grossman Law Firm’s recent happenings and industry news by following our monthly San Diego, Temecula, and Riverside California Probate and Trust Litigation Newsletter! 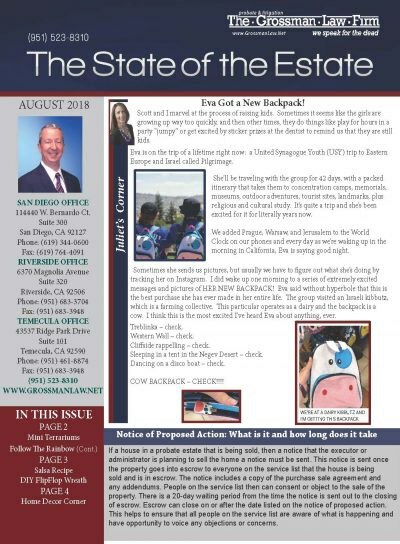 View all past newsletters here. 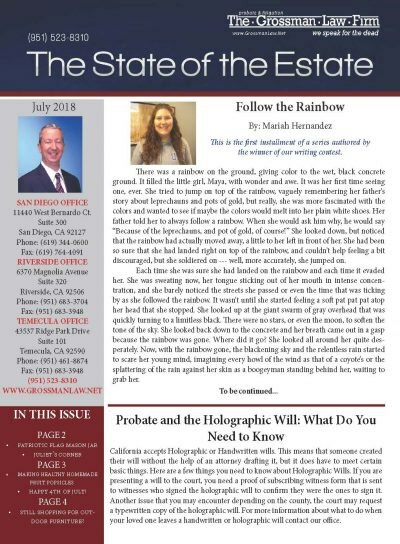 Have questions about articles? 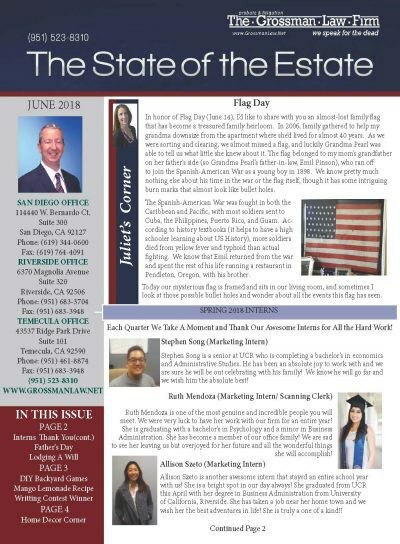 Feel free to contact us today! 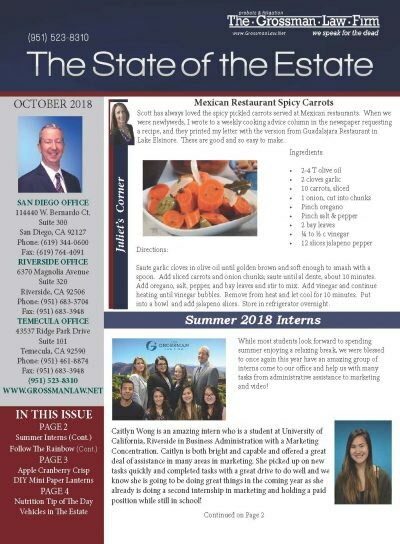 We have offices in San Diego, Temecula, and Riverside, California, but we handle cases throughout the state of California. 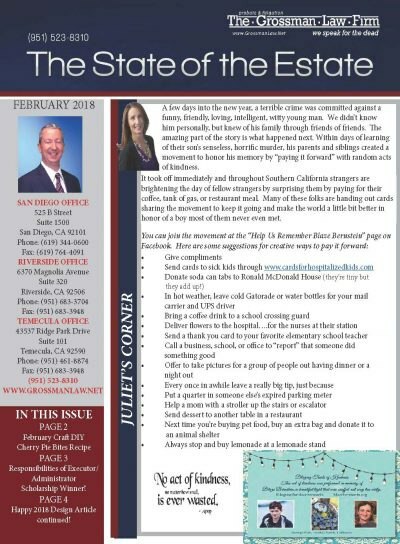 Use the form below to sign up for our Monthly Email Newsletter.